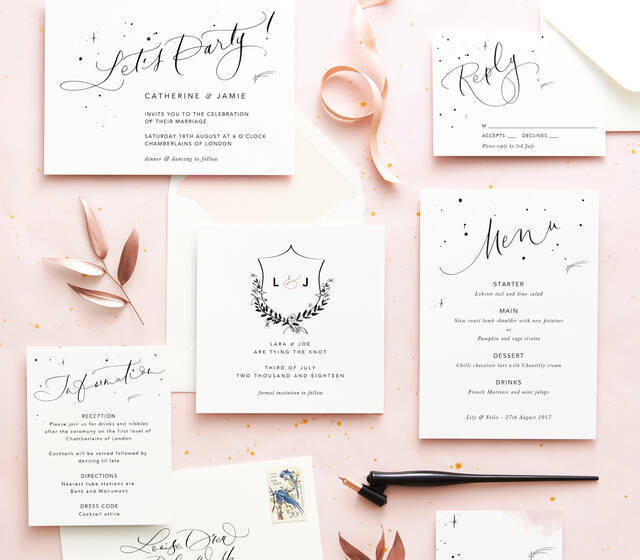 Papier is an online stationery brand with a collection of beautifully designed wedding invitations & save the dates by top artists and illustrators. 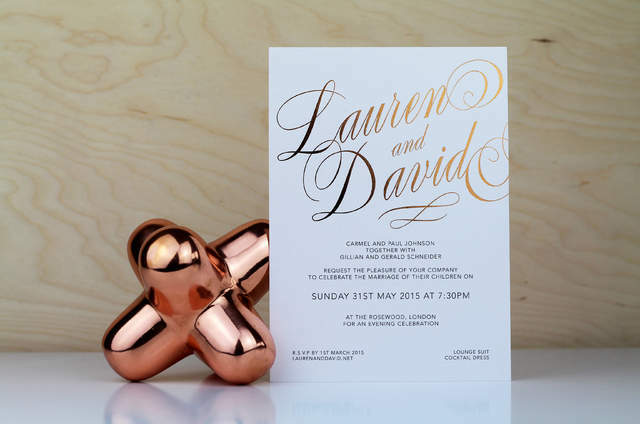 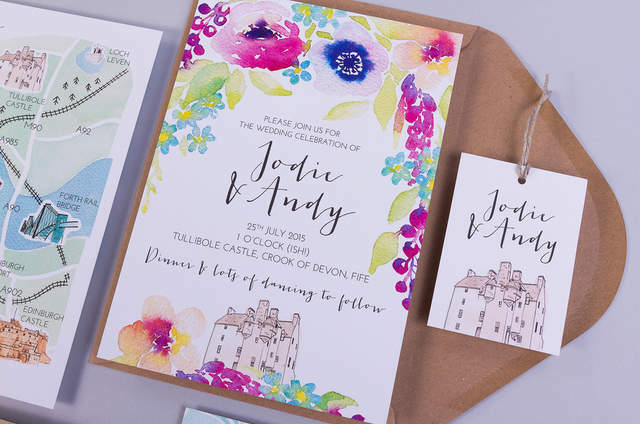 All of our designs can be personalised by you online and are printed on premium Mohawk paper in England. 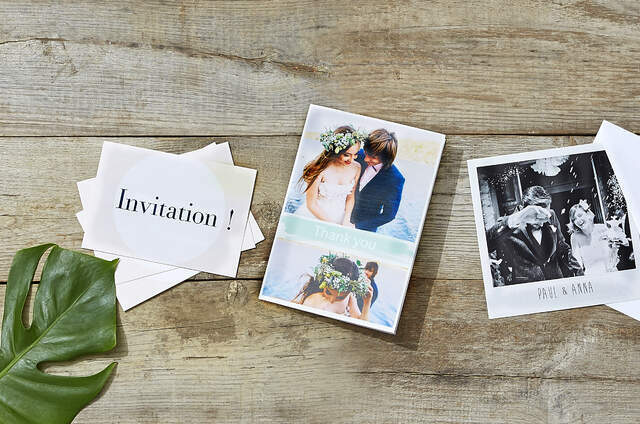 You can choose from a selection of different envelopes and you can order samples to see how your design looks.